Apart from the big mining jobs boards like SEEK, CareerOne, MyCareer and many others, there’s a little known jobs secret we’d like to share. In this article, we talk about how easy it is to dig a little deeper and uncover mining job opportunities that go way beyond the traditional methods. iMINCO is an Australia mining news and information service. 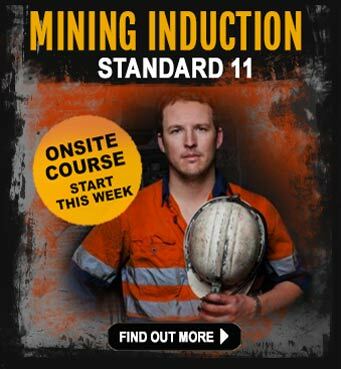 Our aim is to provide up-to-date information for people who have an interest in getting into the mining industry. Mining isn’t for everyone of course and uncovering the information that is hidden on the internet can be a formidable task for the large�majority of job seekers. So here’s an example of how one person found a way to increase their mining job opportunities just by looking beyond the jobs boards. Meet Mick . . .
Mick is a 36-year-old plant operator who is looking for a bit of variety in his�life and is looking for work in Western Australia. He’s heard about the good opportunities in the Pilbara and sort of knows a bit about some of the mining companies who operate mines out there. The mining companies he knows about who have mines in WA are Rio Tinto, BHP Billiton and Fortescue. What Mick doesn’t know is there are other smaller,� junior miners who don’t make the news headlines, however, they are quietly working away and creating jobs for a lot of people. Another thing to point out is that Mick is just like most people who want to work in the mines, they don’t possess a high-level knowledge of the mining industry – but they’d like to learn more, and simply don’t know where to start. So, here’s how Mick found out so much more about mining jobs in Western Australia just by doing a bit of reading on the iMINCO website. Mick is one of thousands of people who thought it was a good idea to sign up for mining news alerts. The alerts came in the form of a weekly newsletter called Project News. This free service includes news and information on the Australian mining industry to help people understand it a little bit better and therefore make it somewhat easier to work out what the heck is going on in terms of jobs. All Mick wanted was a change of job in the mines and he fancied going to WA to seek his fortune, and he was really stuck on how to go about it. After reading iMINCO Project News, Mick zoned in on a story about a mining company he’s never heard of before. This company was called Atlas Iron, and apparently they were a pretty big mining company with iron ore mines all over the shop. Mick was literally ‘gob-smacked’ as to the scale of this mining company because he’d never even heard of them before. This is where the real magic begins – so pay attention. One of the recommendations in the iMNICO news article about Atlas Iron was to do more research on the company and find out as much as possible. This was one of the biggest tips and Mick thought he’s give it a crack. Mick said to himself. “what have I got to lose”. Hot on the trail of information and with a can-do attitude, Mick went to www.atlasiron.com.au. As soon as he got to the website, it was quite clear this was a company he’d like to work with, they had a lot going on. He noticed they were also listed on the Australian Stock Exchange and although Mick was not too sure of the importance of that, it was enough for him to realise he should spend some time going thorough the website and take some notes too. What Mick did next, with a little help from his mate who was good at computers, was to copy and paste information about Atlas Iron into a Word doc. Mick was just focused on finding out everything he could and then print it out as a reference, so he could read about Atlas when he was out and about. But what Mick was really interested in was jobs…jobs…jobs. He wanted to work with Atlas Iron – but had no idea on how to start searching for jobs. Fortunately, Mick has keen eyesight and he noticed a link on the menu that said “Careers”. After clicking on the link, he realised there were many different types of applications that could be made. Theses included current vacancies, graduates and vocational employment opportunities. The graduate and vocational of course was not what he was interested in so he chose the current vacancies option. When the page opened there was just one job being advertised, which took the wind out of his sails. “Oh no”, Mick sighed, “well that was a waste of time”, he thought to himself. However, Mick suddenly remembered what one of his trainers had said when he did his training course with Industry Pathways. 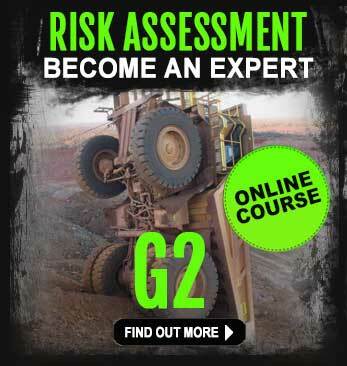 The trainer was a neat bloke and had worked in the mining industry in Australia for many years, so he knew his stuff. What he told Mick was ‘pure gold’ and luckily, Mick decided to act on this advice. This is what the trainer said to Mick..
“So what this means for you is, there are so many more chances to getting a job with a mining company than first meets the eye, and a lot of people have no idea about this – they sort of give up”. Mick hastily grabbed his notepad, managed to find a half chewed Bic biro and prepared for the secret to be revealed. The trainer said one word ……. “contractors”. “Think about it Mick”, chuckledthe trainer. “Contractors are the ones who have the jobs – not the mining company. That’s not always 100 % true, but in most cases, the contracting company has the jobs”. “Bloody heck”, said Mick. “I’d never have thought of that”. 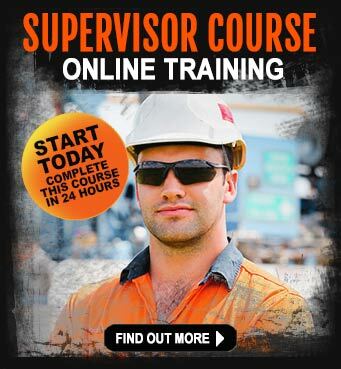 The trainer went on to tell Mick where to look for the list of Contractors on a mining company website. Then all he had to do was go to their websites and look for jobs there. Of course there is a lot more to do once the jobs are found – however, this was one of the biggest “ah ha” moments Mick had ever had. So Mick started looking for the list of Contractors that supplied services to Atlas Iron which he found on the website. It was not easy to find, so Mick took extra time to find this information because he knew how important it was. This was just what Mick had been looking for – a list of contractors he could now contact and discover what type of work they did for Atlas Iron and a whole lot more. What Mick wanted was to find out what types of jobs were going at Atlas Iron. Also, and this is a very important point!… now Mick had discovered so much more information about contractors, it opened up a whole new world of jobs opportunities for him, which made him grin like a Cheshire cat. Mick had a good reason to smile because he knew this was a great opportunity to contact them contractors and get into the jobs loop. So what have we learned from Mick’s story? I suppose the biggest takeaway is, do the research yourself. Dig deeper than most people would ever dream of. Take the time to read everything you can on a mining company and learn about what they do, where they do it, how they do it and why they do it. 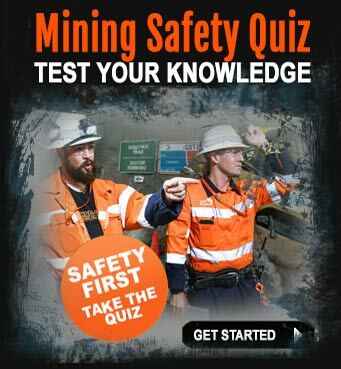 Keep� in touch with the mining industry in Australia – Project News will help you to build your mining knowledge. It’s a free service, it’s private and secure and unsubscribing from it is easy with� one click of a link. Where can I find mining jobs online?